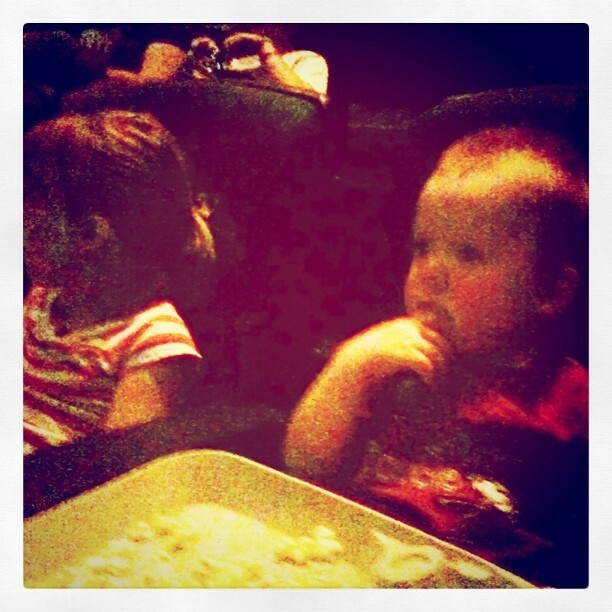 Today we went to the movies as a family. This was our first attempt to have Cooper sit through a whole movie, in a theater. Until now, we've split up -- divide and conquer philosophy. One of us would take Shelby to a movie and the other would stay home with Coop. Since the movie was "Cars 2" we thought we had a decent chance of making it through the entire movie without Cooper melting down. Watching him sit in his own seat, like a big boy, I felt a tinge of sadness. Sitting there, munching on his popcorn, eyes glued on the big screen he suddenly seemed so big, so grown up. He is changing and growing right in front of me eyes ... far too fast for my liking. But alas, almost to my relief, the little toddler returned. He scurried down from his seat and ran around the theater. He had to take a few breaks in the lobby and eventually finished the movie sitting on my lap, entertained by constant tickling and whispers. He's not really all that big. And I'm so okay with that. He can be my little baby boy forever.